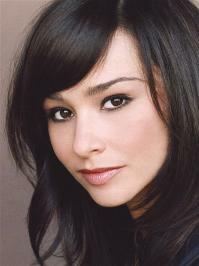 Danielle Harris has enjoyed a prolific career in film and television including memorable featured roles in four of the Halloween films. playing Michael Myers' niece, in Halloween 4: The Return of Michael Myers. and reprising the role in Halloween 5: The Revenge of Michael Myers. Danielle later returned to the franchise in Rob Zombie's Halloween and Halloween II. Other film credits include Marked for Death alongside Steven Seagal, Don't Tell Mom the Babysitter's Dead with Christina Applegate, City Slickers, The Last Boy Scout alongside Bruce Willis and Damon Wayans, Free Willy, Daylight alongside Sylvester Stallone, Wish Upon a Star opposite Katherine Heigl, and Urban Legend. Danielle has also appeared on television, with a recurring role on Roseanne and subsequent guest appearances on Boy Meets World, Diagnosis: Murder, Charmed, ER, Cold Case, and That's Life. 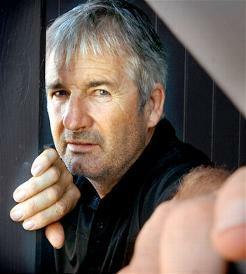 John Jarratt has been characterized by Quentin Tarantino as “the best Australian actor”. A graduate of NIDA, the Australian national drama school , John has had a distinguished career having starred and appeared in over 60 films since his 1973 debut in The Great Macarthy. He later appeared in Peter Weir's Picnic at Hanging Rock in 1975 and Summer City in 1977 with a young Mel Gibson. Jarratt had the lead role in the mini series The Last Outlaw playing Ned Kelly and later played a young Aussie soldier in the Vietnam war movie The Odd Angry Shot. In the 1990s, he hosted the lifestyle show Better Homes and Gardens and had guest roles in Inspector Morse, Police Rescue, Blue Murder, Water Rats and Blue Heelers. 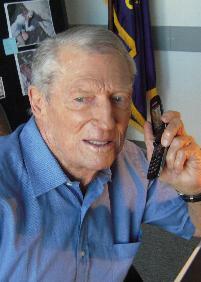 John joined the cast of McLeod's Daughters in 2001, and left the show after a five year run. In 2005, John portrayed what some say is the most terrifying villain in the history of cinema in the iconic Australian thriller, Wolf Creek. In 2007-08, he appeared in Rogue, The Final Winter and in Baz Luhrmann’s film , Australia. 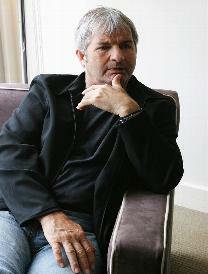 In 2008, Jarratt launched his own film production company, Winnah Films. Winnah's first feature film, Savages Crossing , is a fast paced thriller set in the Australian outback. Jarratt also stars in the upcoming ensemble extravaganza, Bad Behaviour. Van Dien starred in the 1997 James Deanbiopic James Dean: Race with Destiny. Soon after, he got the breakthrough role of Johnny Rico in Paul Verhoeven's 1997 science fictionaction filmStarship Troopers. This directly led to his being cast as Tarzan in Tarzan and the Lost City (1998). Van Dien next played Brom von Brunt in Tim Burton's 1999 film Sleepy Hollow, a reworking of the classic Washington Irving tale. 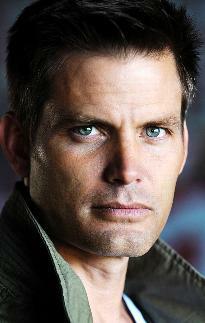 In 2000 Van Dien appeared in Cutaway as well as Aaron Spelling's short-lived NBC prime time soap Titans with Yasmine Bleeth, John Barrowman, Perry King and Victoria Principal. 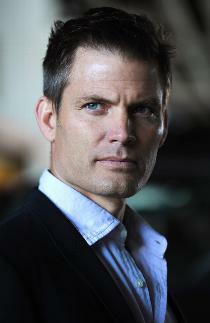 Van Dien reprised the role of Johnny Rico in Starship Troopers 3: Marauder in 2008. Rae Dawn Chong is known for appearing in the films Quest for Fire (1981), The Color Purple (1985), Choose Me (1984), Beat Street (1984), Commando (1985), Cheech & Chong's The Corsican Brothers (1984), and Far Out Man (1990), in the latter two appearing with her father. Chong won the Genie Award for Best Performance by an Actress in a Leading Role in 1983 for Quest for Fire. Chong saw her most active period in films during the late 1980s and throughout the 1990s. However, she continues working in television and film. Chong also played the lover interest in Mick Jagger's video "Just Another Night". Brad Harris, the legendary star of many Italian “sword and sandal” films including “Goliath Against The Giants”, “ Fury Of Herculles” and “Samson”, later became an iconic name in German cinema as the star of the hit German film series, “Commisar X”. Among many other screen credits, Brad later costarred in the cult sci-fi horror fave, “The Freakmaker”, also produced by Weinbach. 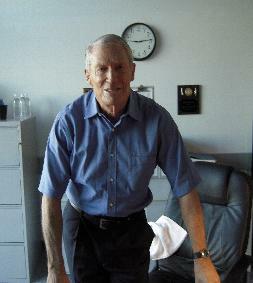 Recently inducted in the Hollywood Stuntman, Hall Of Fame, Harris will portray Captain Tom Rowland in SHIVER. 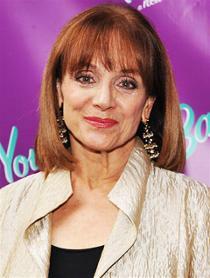 Valerie Harper's career, extends from the stage to television and feature films. She appeared on Broadway in productions of Dear Liar, the Tony Award winning Story Theatre, Something Different and Metamorphosis. Valerie also starred in the one woman show “Golda’s Balcony” (as Golda Meir) and in "Looped" as Tallulah Bankhead. 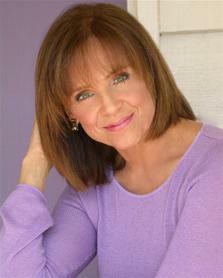 As a television star Valerie garnered four Emmy Awards and a Golden Globe for her work in "Mary Tyler Moore" and "Rhoda" in which she played the title role. Harper has won Harvard's Hasty Pudding Woman of the Year. Her feature films include Chapter Two , Freebie and the Bean and The Last Married Couple in America . In television she has starred on all three networks in movies of the week, including Farrell for the People (NBC), Don't Go to Sleep (ABC) and An Invasion of Privacy (CBS). In SHIVER Valerie sizzles in the role of Wendy’s caustic and abrasive mother, Audrey Alden. Upcoming actress, Nikita Esco has established a major international fan base with her dynamic appearances as a dancer and model. Nikita will portray one of Rood's "victims" in SHIVER.